Avro Lancaster III [ED477] took off from RAF Waddington on a bombing run to the City of Hamburg. It did not return from the mission. The crew were initially posted as missing, but their bodies were recovered and buried at the Russian Prisoner of War cemetery at Vechta, Plot 1 Grave 114. Alfred's body was subsequently removed, and reinterred by the CWGC at Rheinberg War Cemetery on 9 Oct 1947. A Missing Research & Enquiry team later established that the aircraft was shot down and crashed near the village of Ristedt. 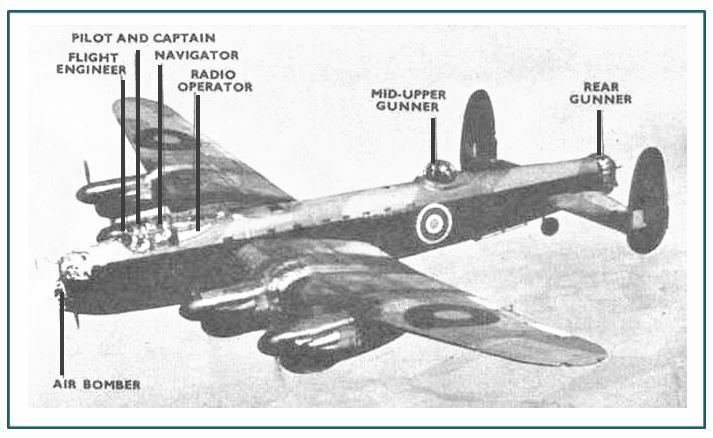 Local eye witnesses stated at 0300 hours on 31/1/1943 a four engine bomber approached the village from the west, height about 1000 feet. The aircraft was burning in the air. Within a few minutes the aircraft crashed on Ristedt Moor, a pasture land belonging to a farmer by the name of Jacob of Ristedt. All but the pilot are buried at Rheinberg, Flight Sergeant Thomas is buried at Sage War Cemetery, Germany. Grandson of Shirley Arthur Thomas John Norrington (formerly living at the Old Rectory Hastingleigh and on the village WW1 Roll of Honour) and Minnie Jane nee Birchett of Rose Cottage, Evington Lees. Alfred's parents were Alfred William Hover (1893-1965) from Waltham, and Mabel Lettie Elizabeth Norrington (1900-1982) from Hastingleigh/Elmsted. Buried at Rheinberg War Cemetery, Nordrhein-Westfal, Germany. He is NOT commemorated on Hastingleigh Memorial - or any others in the locality as far as can be ascertained. Please contact this website if you know of any UK memorial for Alfred. Thankyou. the bubble along the top of the Lancaster's fuselage.